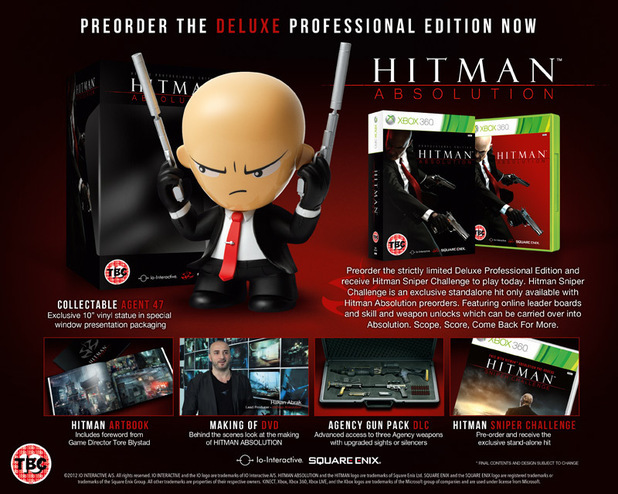 EBGames Australia posted it on their facebook page, and oh my, it has gotten me more excited for my Hitman Absolution Deluxe Professional Edition than ever! I definitely was not expecting the figure to be so large. To be perfectly honest, I was expecting it to be pretty small, maybe half the size of that one - max. I mean, I know that the listings state that the figure is 10 inches tall, but I don't know, I still didn't really focus on that part, instead simply just imagining it's height for myself. So I'm pretty glad that it's big, as at least it will look good on a shelf, and will really stand out, instead of just blending in with the other things on the shelf. Have any of you also preordered this edition? Are you looking forward to it, if you have? Let me know in the comments below! Hitman Absolution releases in the UK on November 20th this year. Updates are now on the way!